Yesterday was a blast as expected. Anticipation, excitement and satisfaction. 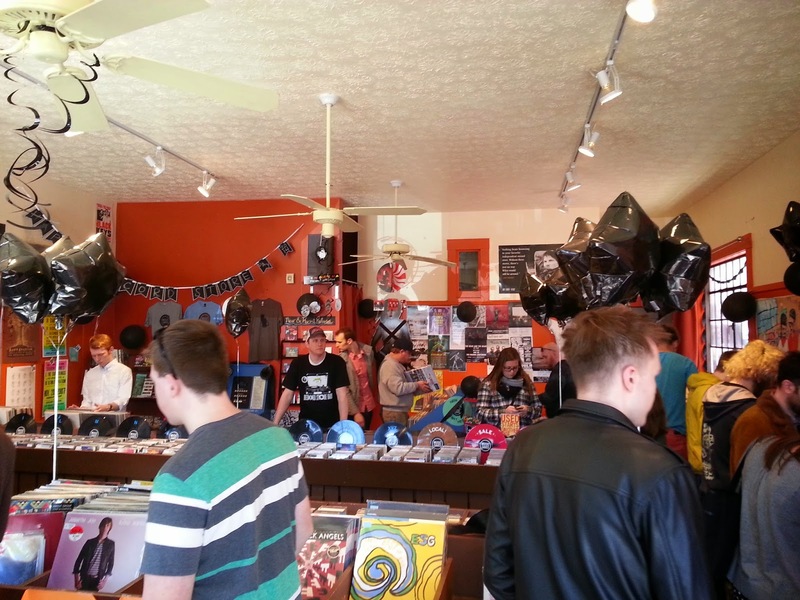 That is the roller coaster that is Record Store Day. 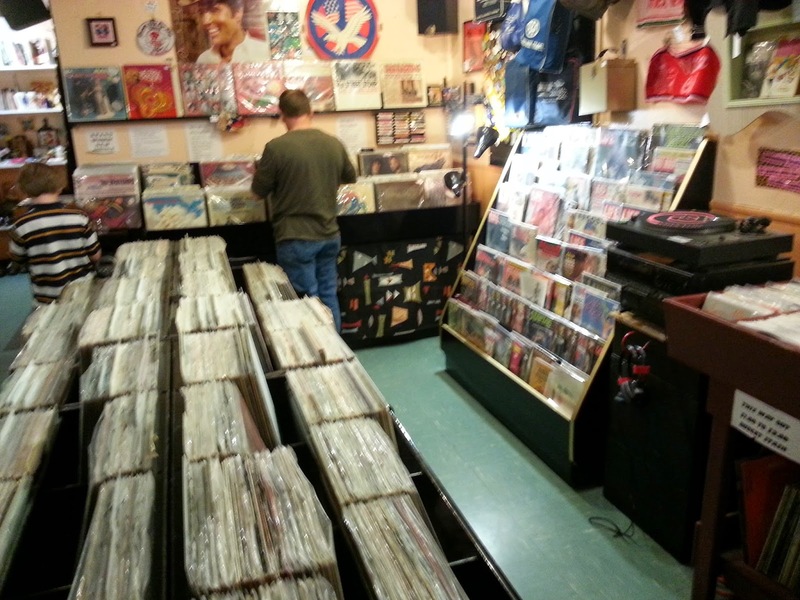 Moving from record store to record store in search of rare finds and must-haves. Different types of people, different ages, different races, different tastes - all out with the same goal and enjoying each other's company and helping out local record stores. Some stores didn't have exclusives, but they still had the vibe of record store day. 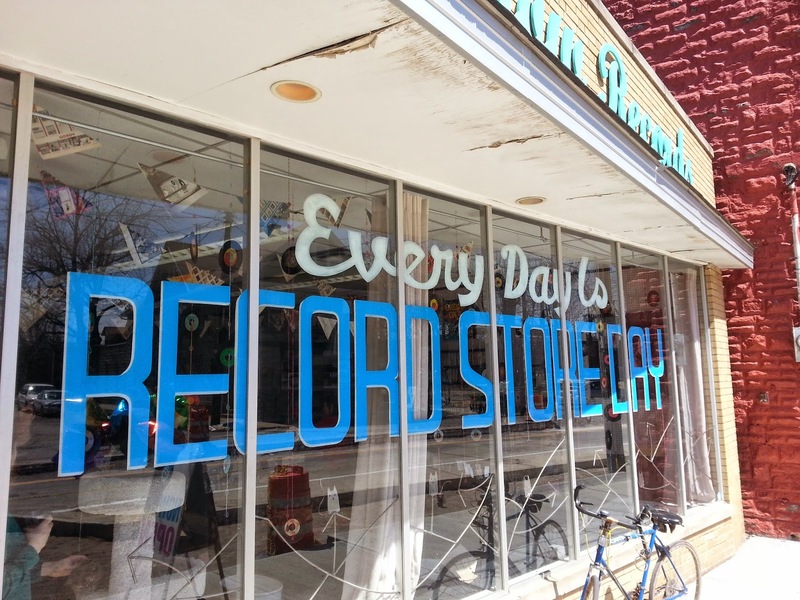 Places that only had used records still had the buzz of the day. That was the main thing I noticed. The idea of getting the rare exclusives was just a (brilliant) ploy to get folks out to see what's out there and expanding their horizons. The coolness of record stores, the fun of searching through bins and of taking a chance on trying something new. 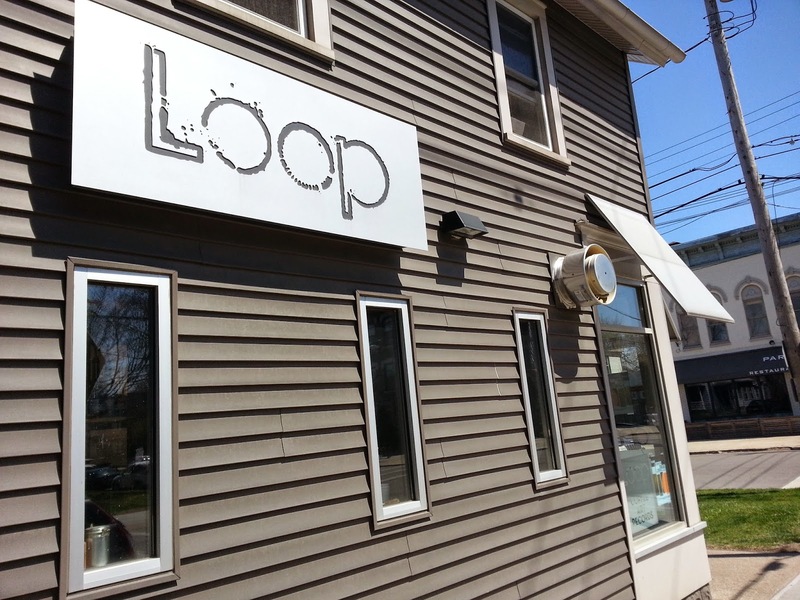 Loop is half coffee shop, half record shop. Loaded with mostly brand new records, prices are a bit high. 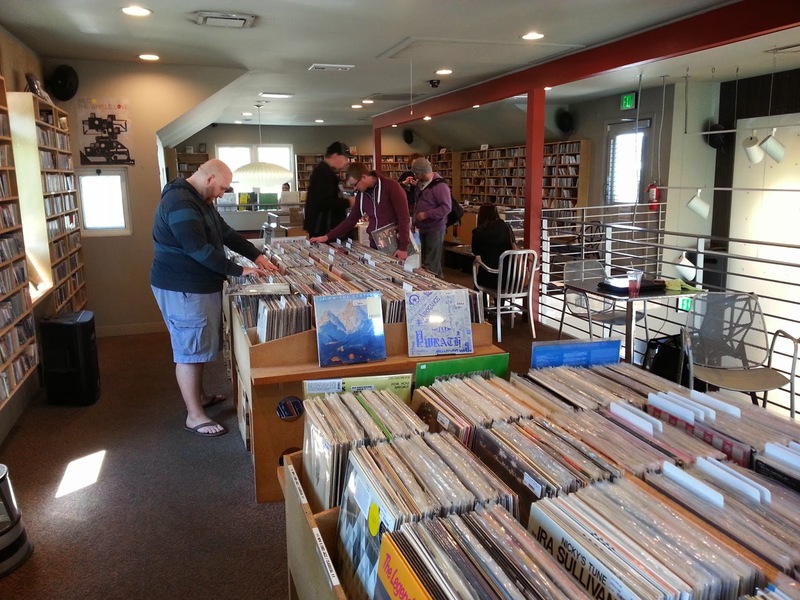 Its still a pretty sweet layout with most of the records set up in bins upstairs and the café area downstairs. Admittedly, it feels a bit more like a coffee shop than a record shop. People are nice enough though and sometimes that goes a long way. It also helps that if you bought a record at Loop on RSD, you got a free coffee. Jackpot. What also goes a long way is when you find your main goal of RSD at the first place you stop. The JB's - Food for Thought: The Get On Down Edition - I wrote about how much I love the JB's in my last post, but I didn't expect to find this rare pressing so soon. Only 1000 pressings and worth every expensive penny. Hanni El Khatib - Head in the Dirt - Hanni El Khatib is the next big thing. He has the sound of 50s doowop, gritty blues and garage rock mixed together. My buddy that I went to RSD with turned me on to him, just like he turned me on to The Black Keys a few years back. You gotta have friends with great taste suggesting music to you as it pans out well normally. 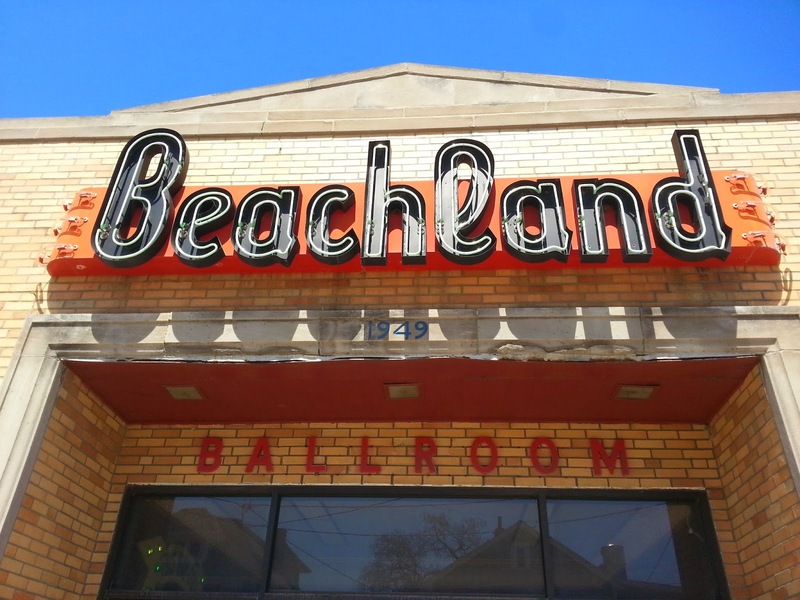 We headed out to the Colinwood area of Cleveland next where the Beachland Ballroom reigns supreme. A place known to have hosted multiple acts before they made it big including the White Stripes and the first ever Black Keys show. We stopped in to have a beer in the Beachland bar and head downstairs to their sister boutique vintage shop. This place is awesome. 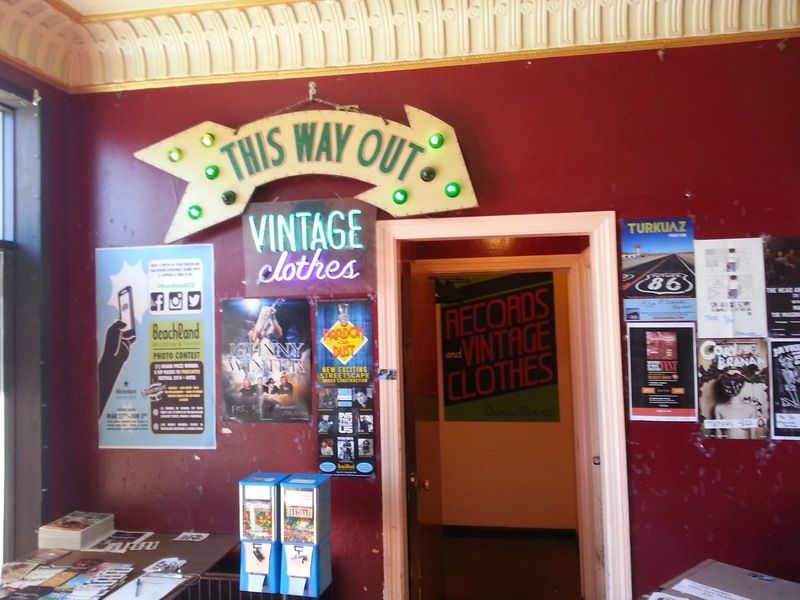 Vintage t-shirts, signs, memorabilia and of course and solid selection of reasonably priced records. The folks here were so nice and friendly it made me want to call This Way Out MY record store. 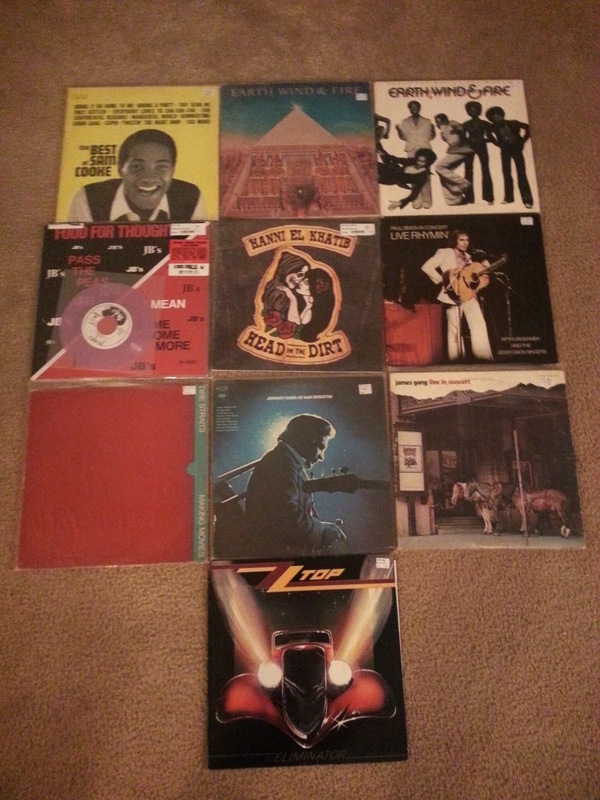 I picked up a few solid used records here. Johnny Cash at San Quentin - I'm a huge fan of live albums and this is Cash's most famous. James Gang Live in Concert - Cleveland legends. Joe Walsh and the Gang rough and rugged in live form. Dire Straights - Making Movies - Another friend recommended this. I listened to it already and I dig it. 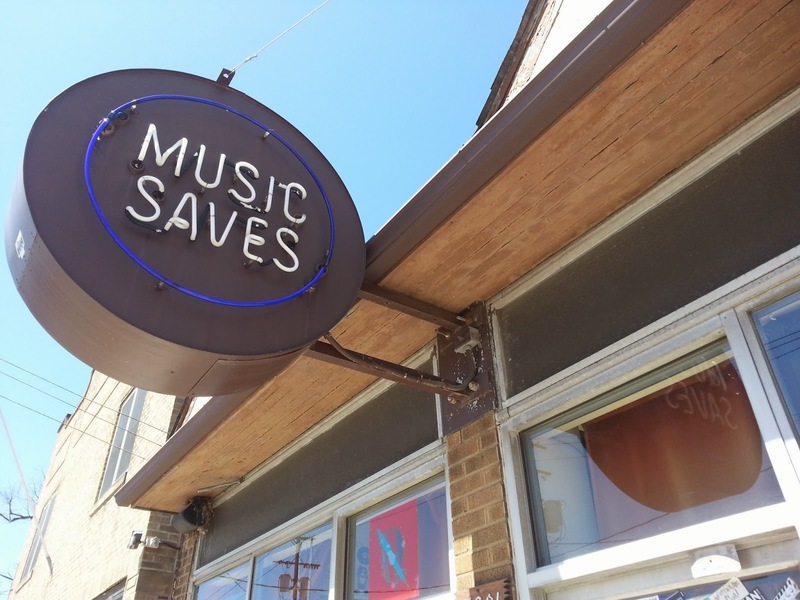 We head down the street to Music Saves where RSD was in full effect. Bumper to bumper people were in Music Saves for there chance to purchase an extremely overpriced record. 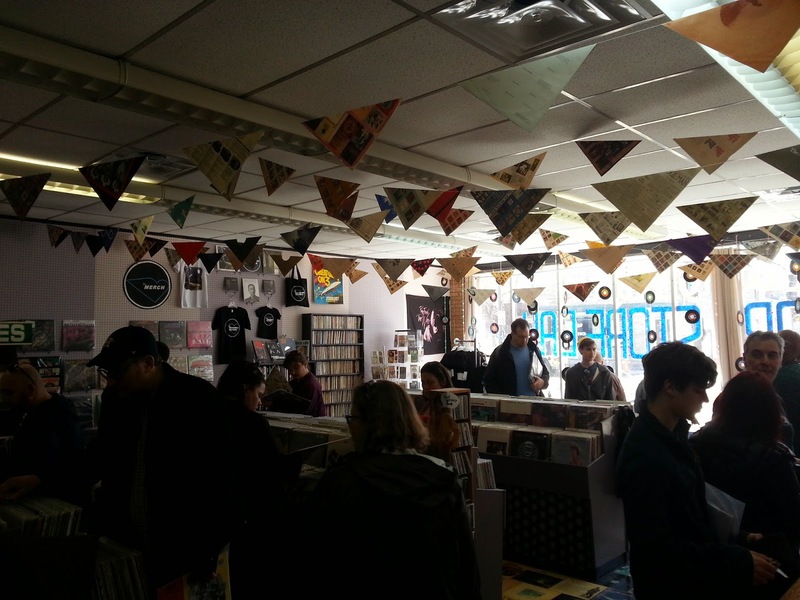 By the time we got there everything was pretty much skimmed over for RSD exclusives and we were left to deal with not much more than running into people. I didn't pick anything up here. 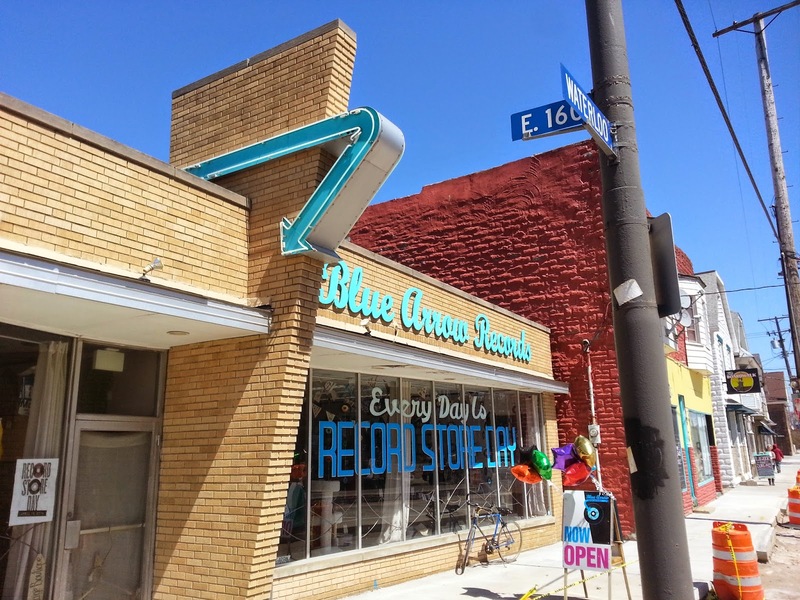 We walked another block down the street to Blue Arrow, a cool used record shop. 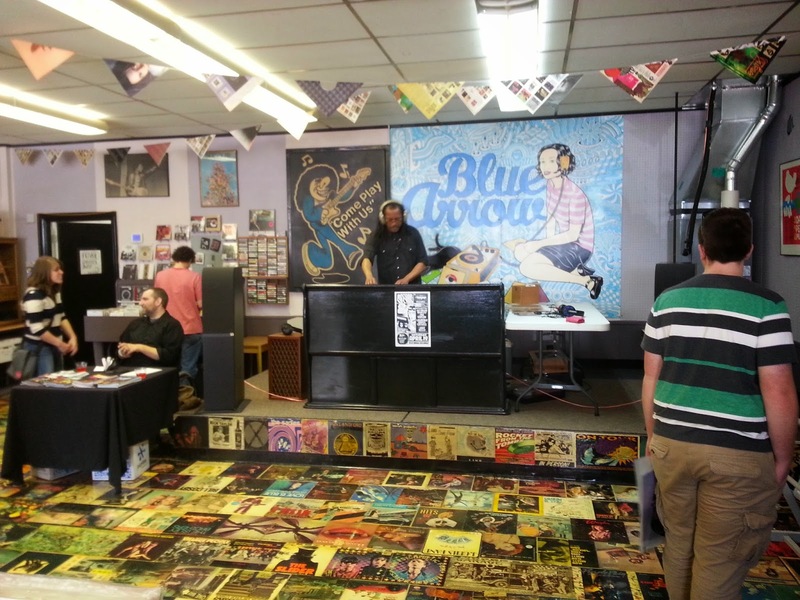 The total vibe of RSD, with the floor laminated over record covers. They have a pretty massive layout here and vinyl geeks had the place packed. As I tried to squeeze in between others, I maneuvered to exact the spots of bands I knew I wanted. There was just too many people to really do a deep dive search. They had a nice set up with a DJ playing sweet old school R&B and blues tunes. Here is what I got at Blue Arrow. Paul Simon in Concert - Live Rhymin' - Again, I love live albums and Paul Simon is the man. You also can't go wrong for $3. ZZ Top - Eliminator - This album could be considered a greatest hits album. An 80s classic. Sam Cooke - The Best of Sam Cooke - I got talked into buying this even though I love Sam Cooke. I was just way passed my spending limit. I'll be happy a week from now that I bought it. Earth, Wind & Fire - All 'N All and Earth, Wind & Fire - That's the Way of the World - Just because I needed some Earth, Wind and Fire in my collection. So that's it folks. Record Store Day 2014 is over. It was exciting and satisfying. It took a hit to my wallet, but the records I bought will last me a lifetime and I helped out local record stores. They're the true stars of RSD. A great cause for great places.